TRAIL UPDATE : What's New? Riding on snowmobile trails is a priviledge not a right. Stay on the trail or stay at home! These trails are on private property not public. The land owners are nice enough to let us ride on their land so please don't ruin it for everyone. Unfortunately, we will need to close the trails at Midnight tonight (Monday evening) due to poor trail conditions. Let's hope for more snow soon! We're glad so many people were out utilizing the trails this weekend! 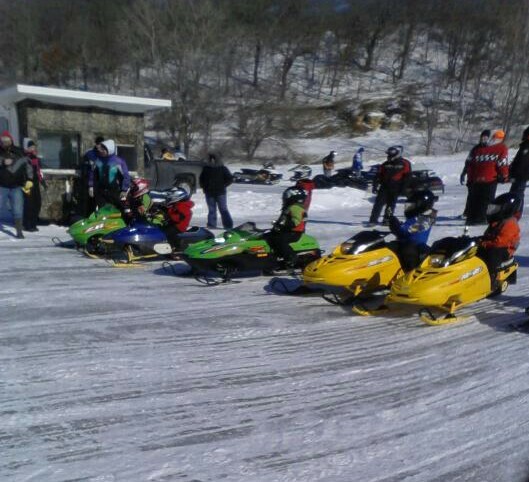 There were lots of snowmobiles on the trails and supporting local sponsors/establishments. Thank you!